For One Low Price you can Make the Most of your Vacation. 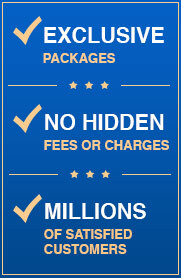 The Chicago Explorer Pass is the best choice for big savings and flexibility. Save up to 42% off retail prices on admission to the number of attractions. Select from over 25 attractions. 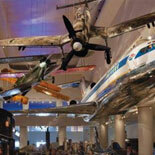 With a Chicago Explorer Pass you have your choice of 3 great attractions from a list of many. You have access to many popular destinations and activities for one low price. This fully customizable card provides the flexibility to create an itinerary that you can enjoy at your own pace. In addition to saving money on your visit to the Windy City, the Chicago Explorer Pass has numerous attractions that will appeal to the entire family. The pass is valid for three attractions and is valid for up to 30 days. To activate the pass, present the card at a participating attraction between 9:00 am and 5:30 pm. The timer starts the first time that you use your pass. The full-color complimentary guidebook provides cardholders with additional bonus savings, incredible discounts and unique offers from select attractions, restaurants and retailers. Along with the cost savings, the Chicago Explorer Pass saves you time because you can bypass the long lines at ticket booths, which gives you more time to enjoy the Windy City. 24 Hour Hop-on/Hop off Bus Tour-Experience this narrated sightseeing tour and hop on and off where you decide you want to go. Skydeck Chicago- Willis Tower - In the nation's highest observatory, thrill seekers can step inside glass skyboxes perched 1,353 feet above the streets. 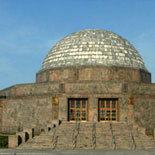 Adler Planetarium - Explore the cosmos at the nation's first planetarium, which features three state-of-the art theaters. Brookfield Zoo - This zoological park is home to seahorses, giant pandas, stingrays and a herd of 24 animatronics dinosaurs. 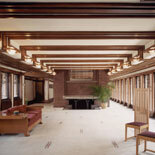 Frank Lloyd Wright Home and Studio Tour - This museum house is a must-see for fans of the architect. The nearby area contains 25 of his renowned designs. Frederick C. Robie House - Constructed in 1909 by Mr. Wright, this residence is the finest example of the Prairie School Style. 360 CHICAGO (formerly John Hancock Observatory) - From 1,000 feet above the Magnificent Mile shopping district, you can see four states and landmarks up to 80 miles away. 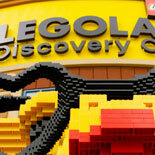 LEGOLAND Discovery Center - Inside this 30,000-square-foot attraction, children can ride dragons and create their own designs. 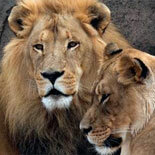 Lincoln Park Zoo Rides- Chicago Explorer Pass cardholders enjoy a 10 percent discount on gift shop purchases as well as free carousel and train rides. Art Institute of Chicago - This world-renowned, 1 million-square-foot museum has works by celebrated masters like Monet, Van Gogh and Cezanne. Chicago Children's Museum - School-age children and their families are invited to become dinosaurs, get messy and climb aboard a fire truck. Chicago History Museum - Experience this fascinating city by exploring the 22 million-piece collection, which includes Abraham Lincoln artifacts. Field Museum - Home to over 24 million items, the natural history displays include the planet's biggest and most complete Tyrannosaurus rex. Museum of Contemporary Art - The collection features thought-provoking artwork created after WWII. Museum of Science and Industry - Families can see a rare WWII German U-boat and explore the depths of a coalmine. Your Chicago Explorer Pass 3 Attractions also provides a variety of special discounts and exclusive savings from several gift shops, retailers, restaurants and services throughout Chicago. 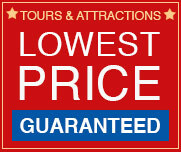 Make your reservations today to obtain an eTicket for a Chicago Explorer Pass-3 Attractions. Save money and enjoy a fun-filled visit to Chicago. + Passes are delivered via email along with a digital guidebook. Print your Pass or present it right on your mobile device to get in to each attraction. 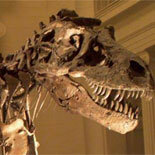 + This Chicago Explorer Pass is valid for 3 attractions and is valid for up to 30 days. + Lost card(s) are nonrefundable. + Activated passes are non-refundable. If for any reason you don't activate your pass within a year of purchase, you will be given a full refund + You can make changes on your order if your passes have not been activated. Please call the customer service team (the number will be on your eTicket) for assistance+ One + Guidebook is included with each order. Additional guidebooks are available for free. 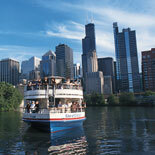 + All Chicago Explorer Pass attractions are subject to availability.